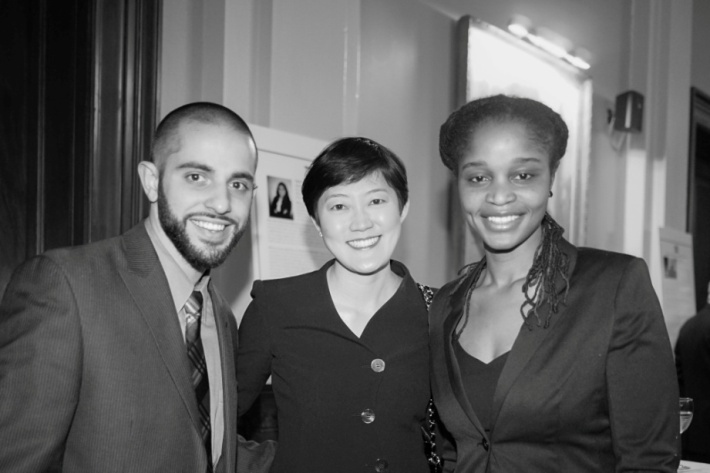 We are excited to announce the launch of the New York City Bar Diversity Fellowship Program Alumni Reaching Back and Paying Forward 2017 Campaign! This campaign seeks to raise $50,000 in support of future fellows in the Diversity Fellowship Program. We are asking you to show your strong support in meeting and exceeding the campaign’s goal. As you may recall, each fellowship recipient is paired to an employer through a lottery placement process. Some recipients are placed at law firms or with corporate employers who pay market salaries while some others are placed in government fellowship positions where they receive much lower amounts. In addition to supporting professional development programming for current fellows and alumni, your contributions will be utilized to assist the program to provide a stipend, as it has so generously been doing in the past, to those students placed in government fellowships to supplement those students’ summer salaries. We are counting on the 600+ strong and growing diversity fellow alumni community to help support the future of the program. You can help by making a generous donation of any amount you wish, with suggested tax-deductible donations beginning at $50. We are also pleased to announce that a strong and long-standing supporter of the program, has anonymously pledged to match the first $5,000 raised through this campaign! Alumni of the Diversity Fellowship Program often attribute much of their success in the legal profession to their fellowship experience. The fellowship prepares the recipient for the next chapter in her or his legal career and serves as a major resume booster. The strength of the program is due in large part the amazing group of alumni who support it and each other. To make a contribution, please visit www.nycbar.org/payingforward. The campaign launches on April 25, 2017 and will run through the remainder of 2017. Lastly, Diversity Fellow Alumni, if you haven’t done so already, please take a moment to join the New York City Bar Association Diversity Fellowship Alumni Group on LinkedIn, and don't forget to post a message on what the Fellowship opportunity meant to you! Be on the lookout for upcoming Diversity Fellow Alumni events! Associate General Counsel, Tiffany & Co.